They also reiterated calls for peace and various churches’ support for “the Palestinian people and their national rights” and for Christians to remain in the Holy Land. 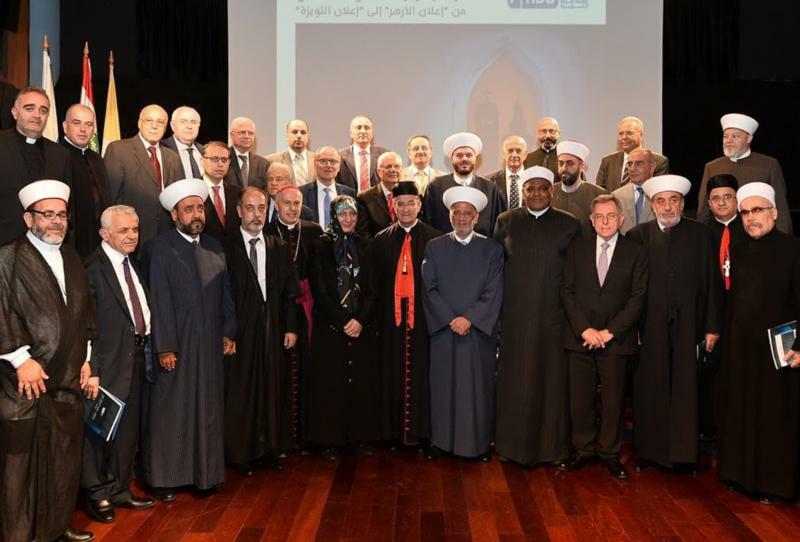 Lebanese Cardinal Bechara Rai, patriarch of Maronite Catholics, spearheaded the July meeting, which included the Vatican ambassador to Lebanon, Archbishop Gabriele Caccia; Sheik Abbas Shouman, deputy of the grand imam of Al Azhar; leaders of the Sunni, Shiite and Druze communities in Lebanon as well as Christian and Muslim experts and Lebanese government representatives. “Amid the tragedies of partition, displacement, forced population screening, ethnic cleansing, targeting of Christians by terrorist gangs — as happened in Egypt recently — and targeting others in Iraq and Syria, the dangers of sectarian strife and the escalating conflicts and wars in a number of Arab neighbors, the solidity of coexistence, and the deepening of democracy in Lebanon sends a message of hope to the Arabs and to the world,” they stated. “We should do everything we can for Lebanon to remain aware of the seriousness and importance of the Lebanese experience and its relevance to the Arabs and to the international community in a strong and clear manner,” they added.